Urban Acreage: DIY Travel Pillow, Plus a Pillow Cubes Giveaway! 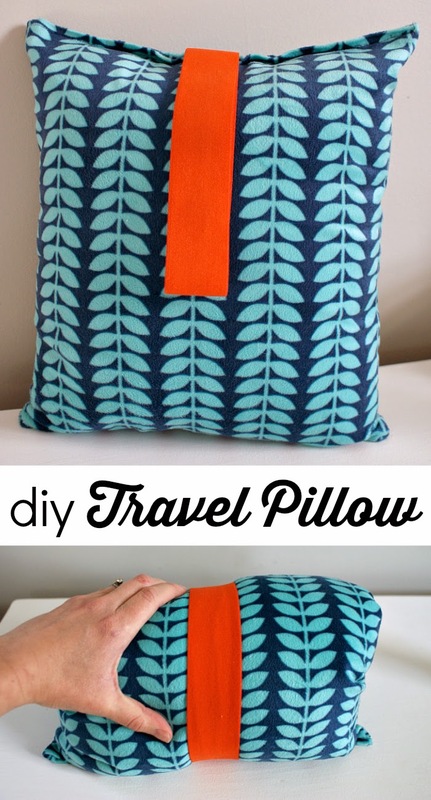 DIY Travel Pillow, Plus a Pillow Cubes Giveaway! We are getting so psyched for our Disney World vacation! Jesse and I have been working on stressful projects at our jobs, so it will be nice to relax for a few days. And yes, the way we do Disney is relaxing - it's all about planning ahead, starting with the travel! When Pillow Cubes sent me a sample insert for review, I thought a travel pillow for B would be a good way to put the product to use. Have you heard of Pillow Cubes? They sell all kinds of pillows in bulk packages, which helps cut down on shipping cost. And, AND they are made in America! Pillow Cubes is a great resource if you need a bunch of pillows for a project. I've been slowly switching our toss pillows from poly to down. I'm almost finished, but if I had known about Pillow Cubes a couple months ago I probably would have bought a case and called it good. The folks at Pillow Cubes also giving away 12 x 16 sample pillow of choice to one lucky reader, so be sure to enter the giveaway at the bottom of the post. Start by cutting two 13 x 17 pieces of fabric and pinning them right sides together. Sew three sides, leaving one of the short sides open. On the side that's not sewn, fold over and press and pin the edge, then sew. Next, cut a piece of orange elastic (about 9 inches) fold it half and pin the ends to the inside of the pillow along the hem. Use a few tack stitches to hold in in place. These stitches don't have to look good, you will remove them at the end. Turn the pillow case right side out and smoosh the pillow down inside it. Then close up the ends using two rows of pins. The second row helps make space for your sewing machine foot, otherwise you'll be fighting the bulk of the pillow. Sew along the edge, removing pins as you go. Then trim all the treads, remove the tack stitches and fluff up the pillow filling. Now snuggle up and enjoy your soft and cozy travel pillow! Love this tutorial for the travel pillow. Thanks for posting. Love this idea, so easy to make.